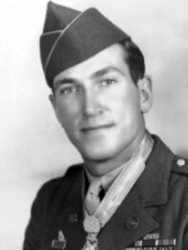 First Sergeant Herschel Floyd Briles (7 February 1914 - 17 July 1994) was a U.S. Army soldier and a recipient of the U.S. military's highest award for valor, the Medal of Honor, for his actions during World War II. Herschel F. Briles was born on 7 February 1914 in Colfax, IA. He joined the Army from Fort Des Moines, IA. 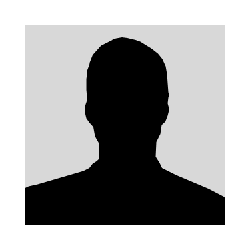 On 20 November 1944, he was serving as a Staff Sergeant in Company C, 899th Tank Destroyer Battalion. On that day near Scherpenseel, Germany, he left cover to rescue the wounded crew of a burning tank destroyer and extinguish the vehicle's flames. The next day, he single-handedly forced the surrender of fifty-five German soldiers and again left cover to reach a burning tank destroyer, rescue its crew, and put out the flames. For these actions, he was awarded the Medal of Honor. 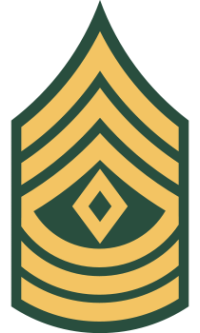 Rank and organization: Staff Sergeant, U.S. Army, Company C, 899th Tank Destroyer Battalion. Place and date: Near Scherpenseel, Germany, 20 November 1944. Citation: He was leading a platoon of destroyers across an exposed slope near Scherpenseel, Germany, on 20 November 1944, when they came under heavy enemy artillery fire. A direct hit was scored on 1 of the vehicles, killing 1 man, seriously wounding 2 others, and setting the destroyer afire. With a comrade, S/Sgt. Briles left the cover of his own armor and raced across ground raked by artillery and small-arms fire to the rescue of the men in the shattered destroyer. Without hesitation, he lowered himself into the burning turret, removed the wounded and then extinguished the fire. From a position he assumed the next morning, he observed hostile infantrymen advancing. With his machinegun, he poured such deadly fire into the enemy ranks that an entire pocket of 55 Germans surrendered, clearing the way for a junction between American units which had been held up for 2 days. Later that day, when another of his destroyers was hit by a concealed enemy tank, he again left protection to give assistance. With the help of another soldier, he evacuated two wounded under heavy fire and, returning to the burning vehicle, braved death from exploding ammunition to put out the flames. By his heroic initiative and complete disregard for personal safety, S/Sgt. Briles was largely responsible for causing heavy enemy casualties, forcing the surrender of 55 Germans, making possible the salvage of our vehicles, and saving the lives of wounded comrades. Briles reached the rank of First Sergeant before leaving the Army. First Sergeant Herschel F. Briles died on 17 July 1994 at age 80. He is buried at Waveland Cemetery in Prairie City, IA.